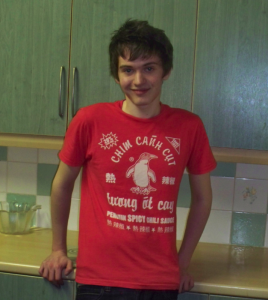 James Bubear, a 19-year-old student of Creative Writing at Bath Spa University, went missing on Sunday 13 March. His story has slipped quickly from the news agenda. He has not been found. Now the students are organising a march, Facebook pages, and more, to raise awareness and rally media support. They say: Please help us find James! Bristol NUJ is glad to support their campaign. Concerned Bath Spa University students and friends are rallying media support in the fight to find missing student James Bubear after concerns his story may be fading out of the public eye. Students and friends of James have been handing out flyers around the town in hope of sparking new information, and a Facebook group set up by Dae Thomas, a family friend, has already amassed over 4,000 members. The group is convinced something has happened to James and want to continue the search in any way they can. A march is being held on Saturday 26th March at 3pm covering the route James is believed to have taken home that night from Revolution Bar through Bath town centre to his halls at Waterside Court on Lower Bristol Road. James’ sister Hannah and other family members will be attending. Students will be carrying signs, banners and flyers and using face-paints to recreate the distinctive fancy dress make-up James was wearing on the night he disappeared. They hope that the media will come to the event, organised by fellow students Siegfried Baber and James’ flatmate Eleanor Emery, and that it will raise awareness for James. James’ flatmates and friends have been at the forefront of organising actions to find him. The 19-year-old creative writing student from Llandrindod in Wales went missing on Sunday, March 13th after attending a fancy dress party with friends at the Revolution Bar on George Street, Bath. He was last seen leaving Revolution at around 10.30pm that evening and walking alone up St James’ Road West near the Odeon Cinema. Police are still appealing for the young woman seen speaking to James at around 11pm, opposite Green Park Tavern to come forward. Police divers have searched the River Avon, but have found no trace of James. His mobile phone and passport were found by a street cleaner in a nearby doorway, the morning after he vanished. James’ flatmates and family are anxious for any news. The boy’s father Andre and 23 year-old sister Hannah spent yesterday in town, talking to his friends and aiding police enquiries. Amy described her brother as a clever boy, who was funny and easy to get along with and who loved being with his friends. and use the twitter hashtags #helpfindjames and #march4bubear. James and his family are in our thoughts. I hope James is found. This must be so worrying and stressful for his family. What a pity the media drop news stories like this so quickly. Well done to all for keeping this matter going – let us hope he returns safe and well. Such a worrying time – good to see everyone, including his fellow students, wanting to help. All thoughts are with you at Bath Spa Uni. Quick update: Eleanor Emery who is helping run the march, and is a close friend of James’ has recorded a short segment to be shown on the BBC Points West news show at 6.30pm tonight. Also Don Foster MP has said that if he can make it, he will appear at some stage on Saturday to offer his support. I don’t know James but even I know the media needs to get on to this so the police can find the girl seen on cctv. Will be supporting you in mind but not in person while you are on the march..good on you.. it should generate a lot more publicity. Pray James returns safe and sound. We can’t thank you enough for your unstinting support during the appeal, and march to find James Bubear. Without your backing and knowledge, all of our work wouldn’t have mattered. It means so much that such a large organisation will have faith in a few passionate students! We were advised, supported, put in contact with links in the press and then Christina also came to the march! I know how much effort she must have put in, as well as her colleagues. I was in touch with Christina every day, i knew if there was a problem or a question I had she would have no hesitation in helping. Anna-Marie Young, student and press contact for the march.